Elowah Falls is one of the many hidden gems in the Columbia River Gorge and is like a candy store for landscape photographers. The cliffs on either side of the falls are flanked with the colorful lime green florescent moss that is found throughout the Columbia Gorge. This simple waterfall offers numerous compositions and photographic opportunities. 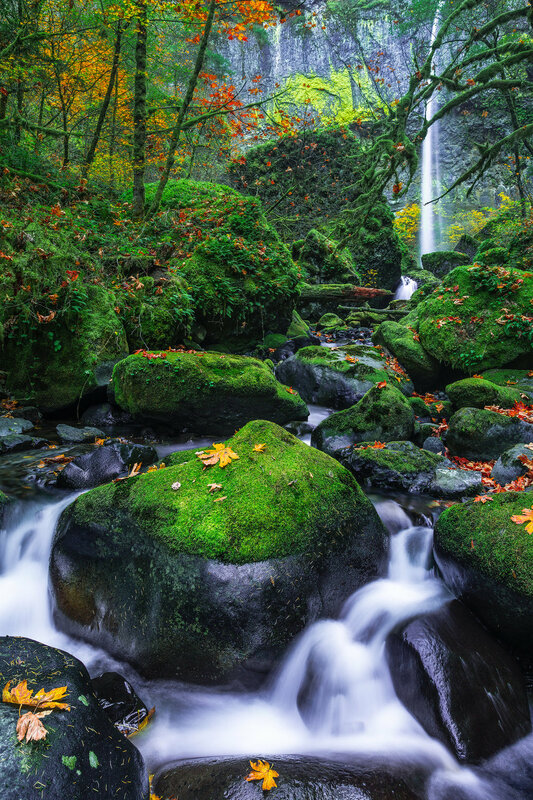 The McCord creek under the falls is filled with moss-covered rocks, jagged basalt boulders, fallen trees, and big leaf maples, which makes these falls a delight to photograph any time of the year. 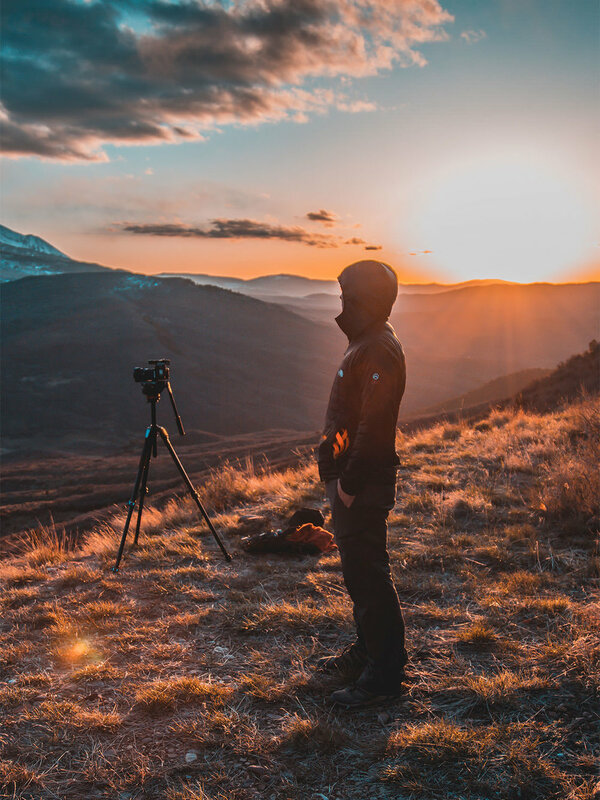 The hike to the falls is moderately stressful, but easy to access from I-84, so you will see several tourists and other photographers during your visit. This place is a MUST for photographers visiting the Columbia Gorge.